Welcome to another installment of Ninjas in Training! 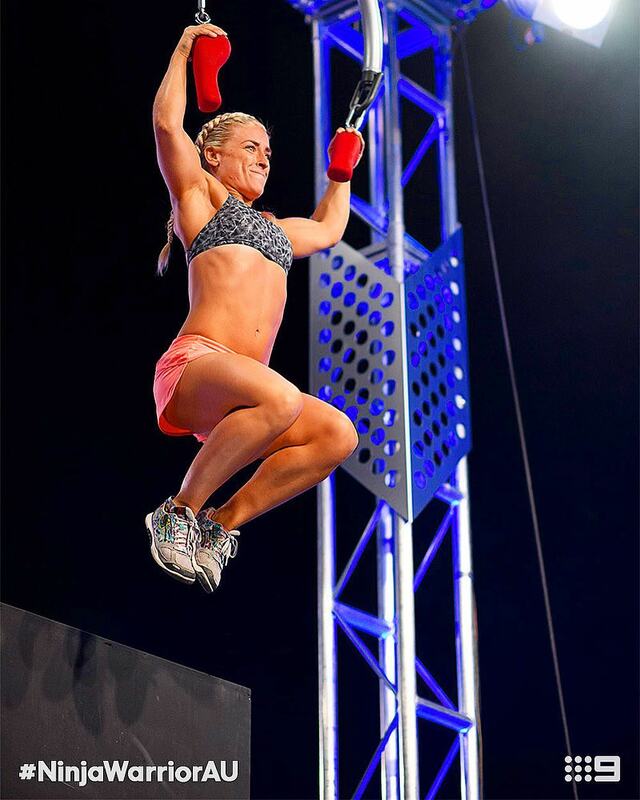 The true beauty of Ninja Warrior is that is requires such a huge cross section of skillsets, and so everyone tackles their training in a completely different way. So, we’ll be asking friends of site to share with us their approach. You might have seen our next guests take on the Australian Ninja Warrior course on Tuesday night, we’ve very lucky to have the Modern Mogley and the Disco Ninja share their experiences and training with us! Betsy and Josh, thank you so much for this interview! How excited was everyone to see you both smashing it up on Tuesday night? Betsy– it was amazing to have all our family and friends in the room waiting in anticipation to see my run! We loved watching and being part of the audience! The atmosphere in my house specifically was off the roof and screaming at true tv screen! Such awesome energy it was like being back on the course stage! Josh, your story of recovery is almost as incredible as your list of achievements… what motivated you to keep grinding away from near-death to not one, but several pinnacles of athletic achievements? Josh – I remember waking up one morning feeling quite delirious as I did most mornings due to the medications supposedly keeping me alive, but on that particular morning I had a sudden jolt of clarity. I kept asking myself a very simple question. “Is this the way my life is going to be forever”. Right there and then I had a choice, you never know how you are going to react in a situation like that, your mind and your body forces you into a state of fight or flight. I was forcing myself into a decision, I knew I didn’t want to live life as I was in a vegetative state, I made the decision that would ultimately change my life forever. To follow my dreams and stop all medications. To take control of my destiny. So if you ask what it is that drives me, I would say just being alive is enough motivation. Betsy, the name ‘The Disco Ninja’ might be the most fun ninja name out there… what does it represent to you? Betsy – The name the Disco ninja represents my love for dancing, fun and life. I grew up competing in ‘freestyle disco dancing’ in the U.K. Which is where the name comes from. It is a high energy, very cardiovascular specific, lactic burning sport and I absolutely loved it! Most of my athletic abilities stem from competing in this sport from the age of 8. I just love to dance and moving my feet any chance I get and I think this name shows that! You both have vastly different fitness backgrounds, but I love that Ninja Warrior requires skills that you both have… do you train together? Betsy – We sure do! We train together every Tuesday at five star fitness which ninja HQ in Sydney! Many of the top Sydney ninjas train here including Scotty Campbell, matt walker, sarah Bartlett, Omar ninja, and school teacher pat to name but a few. It’s a great little ninja community and everyone shares their love of health and fitness. We also train acro yoga and slacklining together on weekends and will often venture to a rockclimbing house to work on the grip! I’m get to get josh to Sydney dance company for some dance lessons tho… he needs them with those Mogley feet! Haha jokes. Does diet play a bit part for either of you? Betsy – We like to call this our lifestyle nutrition instead of diet! We believe that eating and nourishing our bodies should be a healthy relationship for both mind and body. Josh – Most recently I have have entered a challenge to cut out all added/processed sugars which includes chocolate, juices, carbonated soft drinks as well as anything that says sugar in the ingredients section (which is almost everything). I started this in may and have found that replacing my ‘bad’ habits with healthier versions has been successful for example I replaced carbonated drinks with soda water and sugary filled foods with fruit instead. You’ve joined forces to create BecomeANinja.com.au to help others get into the ninja mindset with their training and their diet, what is your motivation to take time out of your busy schedules to help others? 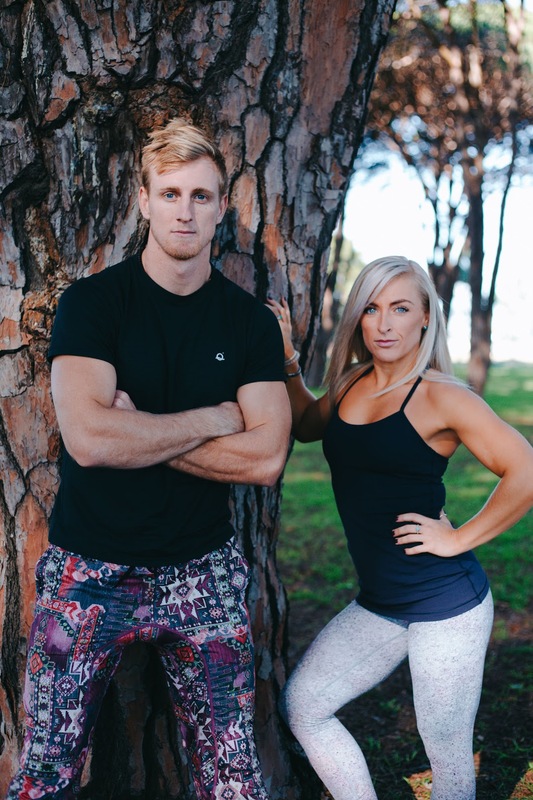 Josh – Australian ninja warrior has changed our lives in more ways than one and we have found a love and passion that we want to share with the world. If we can influence and inspire the way people view fitness as fun then our purpose is fulfilled! I love how supportive this community is! Do you have a sample of what we can all expect on BecomeANinja.com.au? Betsy – Become A Ninja aims to be the best online ninja training platform available on the market. Our drive is our love for what we do as mentioned above. We have already launched a FREE ‘become a ninja’ guide which has tips, tricks and programs to get you started on your ninja journey. In the coming weeks we will be releasing our very first program the ‘ninja foundations program‘ for beginners, intermediates and advanced ninjas which will specifically focus on building a strong platform in mind and body before beginning your obstacle training! Thanks again to Betsy and Josh for being so sharing with their training, their goals and their progress. We wish them the best of luck in their goals for 2017 and beyond. These articles are all about building the Ninja Warrior community around the world and helping each other out. If we help each other out, we all get better, and if we all get better, we can make the world a happier, fitter, more exciting place. ← AusNW Season 1 Episode 3 recap!